Is the Last Frontier first on your bucket list? From glistening glaciers, blooming sunflowers and wildlife galore… Alaska is a truly remarkable and breathtaking destination and with Holland America Line Land+Sea Journey you experience the best of both worlds cruising the coastline and traveling by rail further into Alaska to experience the Denali National Park. 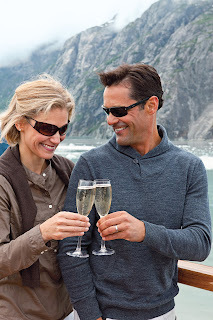 Your vacation starts in Vancouver as you come on board one of the luxury mid-size ships Holland America Line cruises along the coastline of Alaska. Day 2 takes you through the inside passage – Come up to the top deck or step out on your balcony to look for bald eagles, sea lions, porpoises and whales roaming through their natural habitats. Next stop is Ketchikan – known as Alaska’s first city and the salmon capital of the world. On Day 4 of your seven day cruise you will see Juneau, the capital of Alaska. Juneau is only reachable by boat or seaplane. An incredible excursion in Juneau is the catamaran cruise into Auke Bay to watch the humpback whales cavorting in their summer playgrounds. Skagway is just above Juneau in the Alaska Panhandle. A popular excursion in Skagway is the helicopter ride up to Meade Glacier. 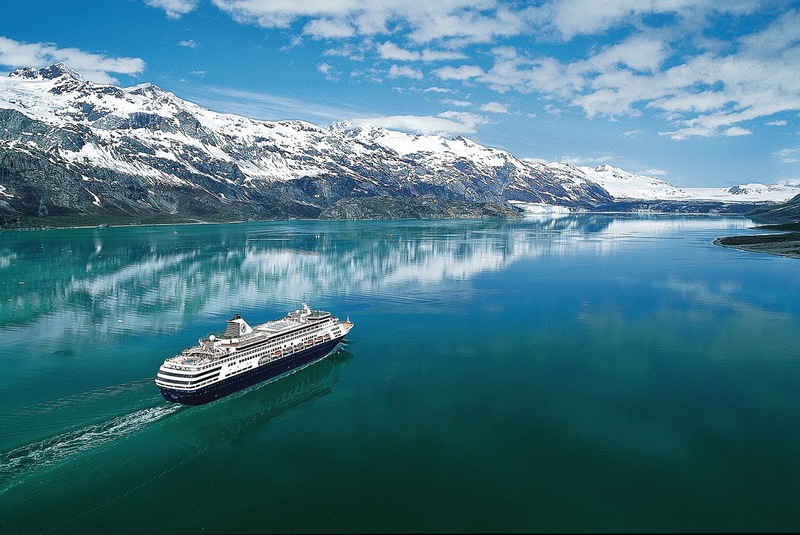 Your final destination on your seven day cruise is the Glacier Bay National Park. You will spend an entire day cruising past mountain peaks, ice-sculptured fjords, an abundance of marine wildlife and massive tidewater glaciers. Day 7 – your final day on-board the ship and you are cruising through the sea to arrive in Anchorage to start your land portion up to Denali. “All Aboard!” Come on board the glass-domed McKinley Explorer® or the historic White Pass & Yukon Route Railroad for panoramic views along your ride from Anchorage up to Denali. Experience breathtaking views of North America’s tallest mountain, Mt. McKinley – formerly known as Denali Mountain. Be on the lookout for wildlife roaming the terrain from grizzlies and moose to caribou and wolves. Once you arrive in Denali you will board Holland America’s luxury motor coach with wide leather seats and plenty of legroom transferring you from Denali up to Fairbanks for your departure back home. Holland America Line has so much to offer their guests… Elegant and sophisticated cuisine and dining options, warm and genuine service, elegant and spacious staterooms and exhilarating experiences. Your vacation experience to Alaska will provide you with experiences and memories you will cherish forever.